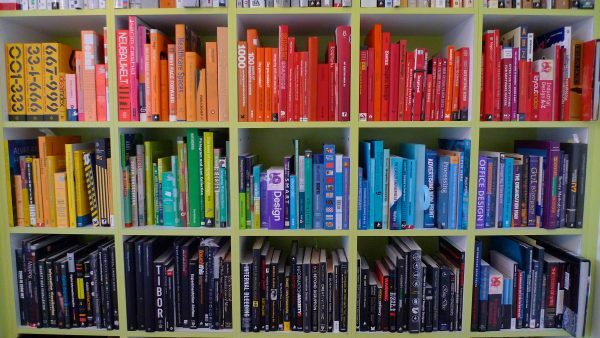 Just in case your day (or night) needed a little vibrancy and brightness, here are fifteen of some of the most gorgeous and wonderfully organized bookshelves that might strike up some inspiration in you! 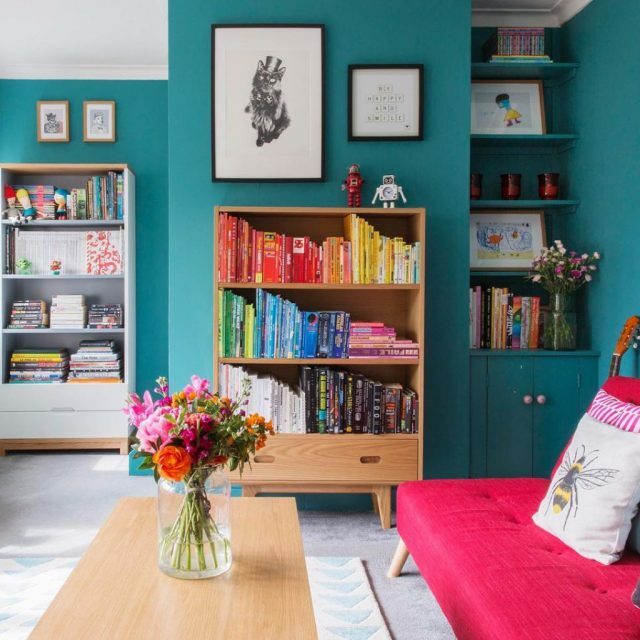 After all, if you put a book-lover in front of a stunning bookshelf, or just even a plain old bookshelf, odds are, we’re going to be there for a while…probably drooling! 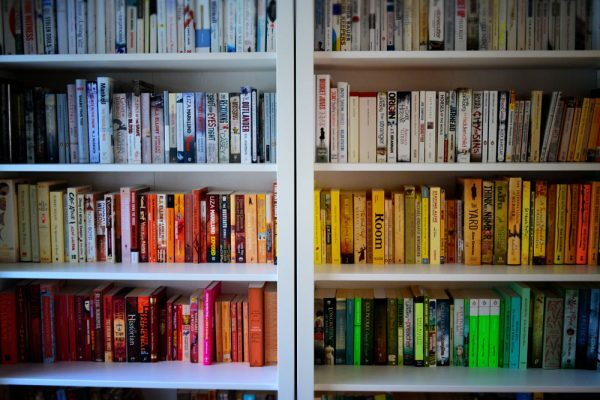 I don’t believe that the amount of books one owns makes a bookworm the most well-read or most bookish. 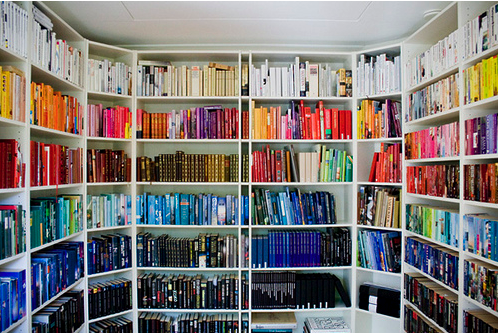 I think it’s solely about what makes that bookworm happy. 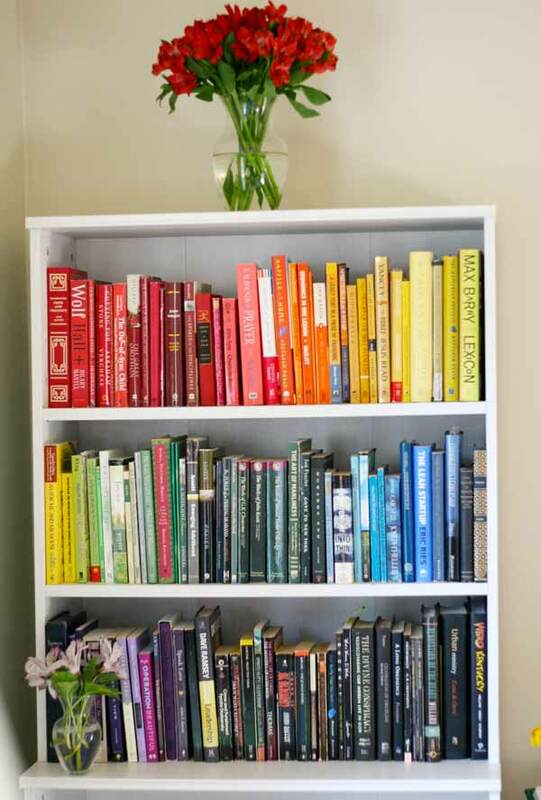 And this simple, yet lovely bookshelf does just that. 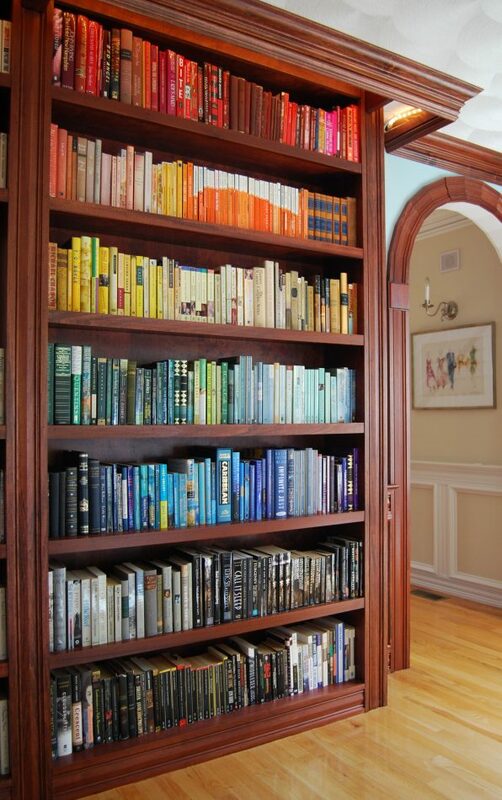 As the sub-title states, this collection is reminiscent of a bookworm’s true paradise! This one kind of reminds of of Skittles, too! I love the breezy, soft-vibe of these! I can only imagine how long it took to make these look as perfect as they do! 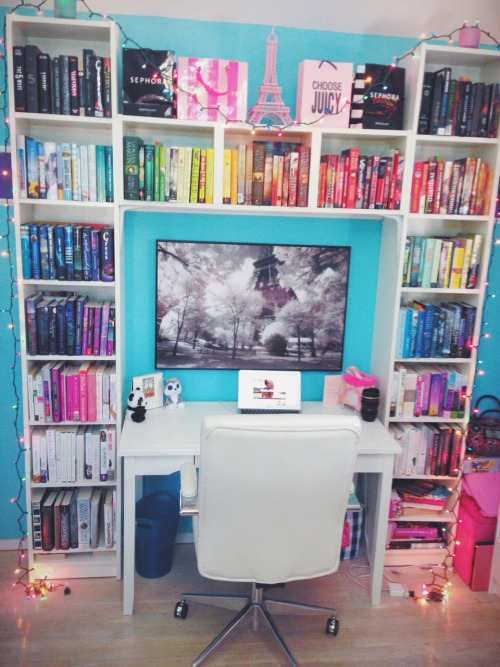 The ideal office! 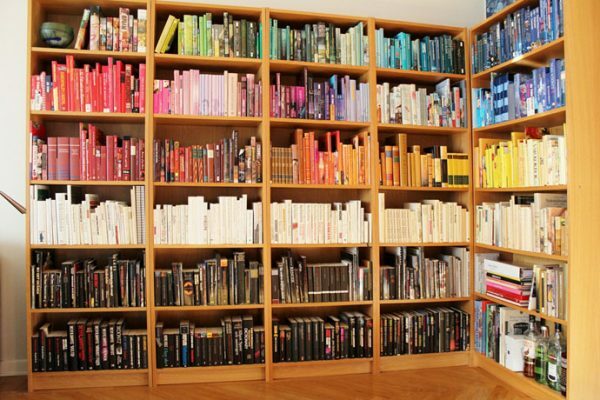 You’ll be surrounded by everything you need with your beloved collection of books in view! Breathtaking. There’s something about the cube shape that makes everything appear so much more organized and in place. 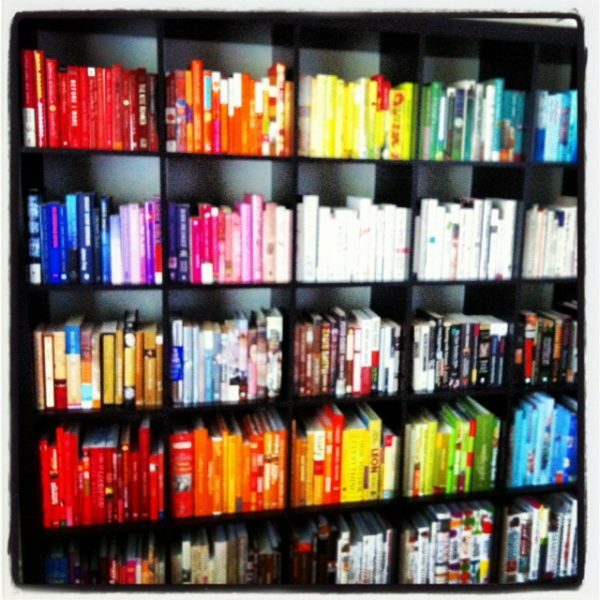 This one proves that the owner(s) put so much time and dedication into making their bookshelves so pretty! 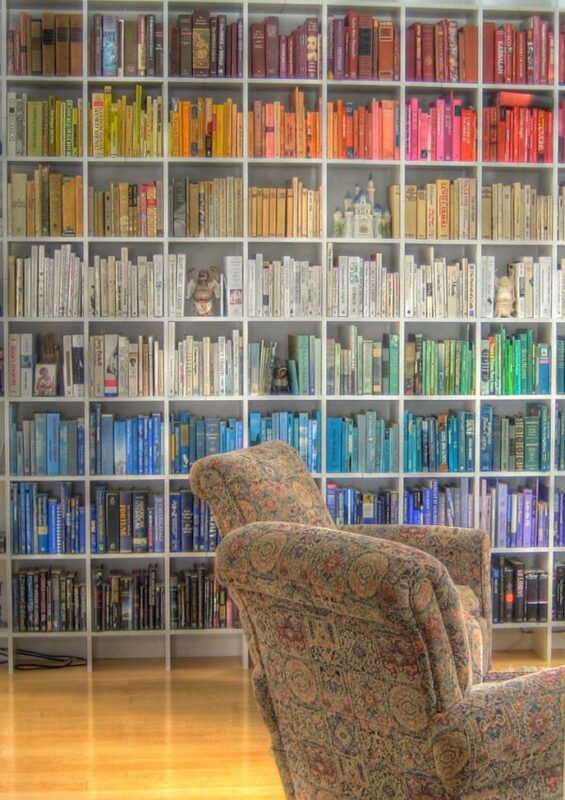 It might just be the filter, though I bet in person this bookshelf is just as astonishing! Like I said before, it’s not the quantity of books but the meaning they have to each reader that matters! No matter what angle you look at this one, it’s still just so lovely. You can’t take your eyes off! 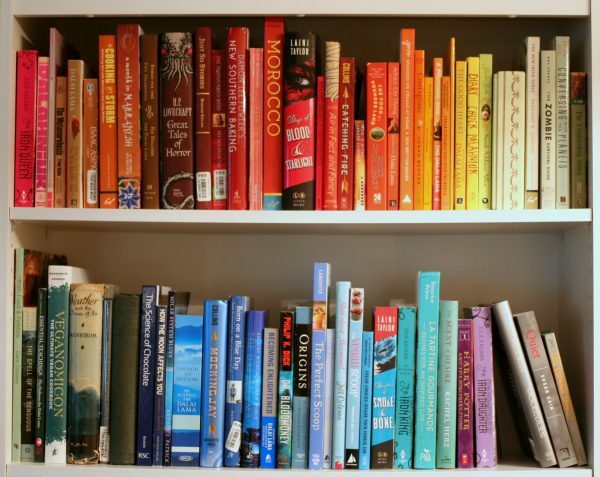 Rainbow books: Young Adult edition! 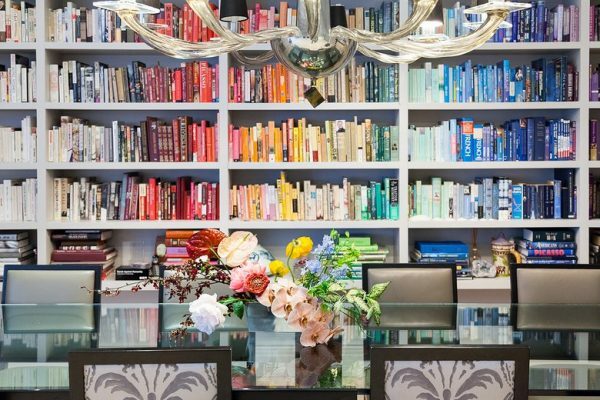 These polished brown bookshelves give this reader’s mini library a very sophisticated and classy vibe. I can even see a wide variety of classics on the second shelf! 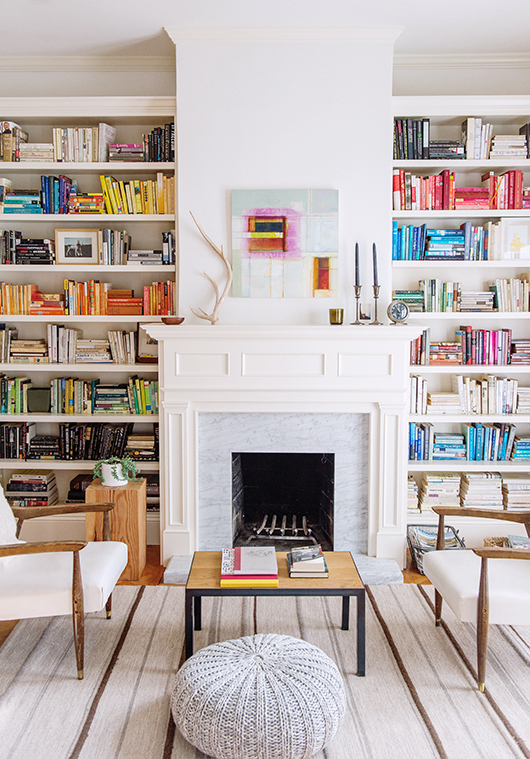 These two separate, yet clean white bookshelves put me in the mind of two bookworm best friends who happen to be roommates! So cute! The flamboyant lime color adds an extra wow-factor to this shelf! 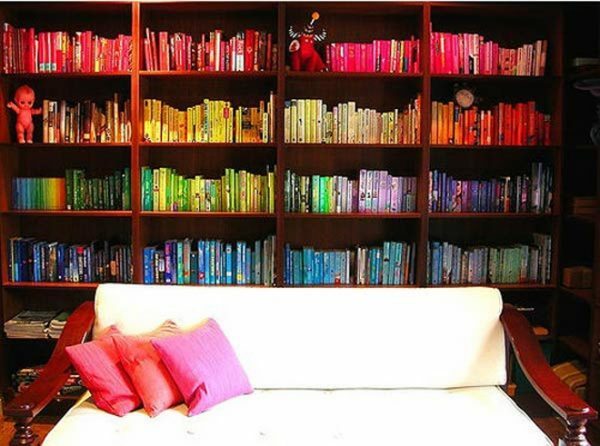 And last, but certainly not least, are these colorful bookshelves perfect for any girly bookworm! 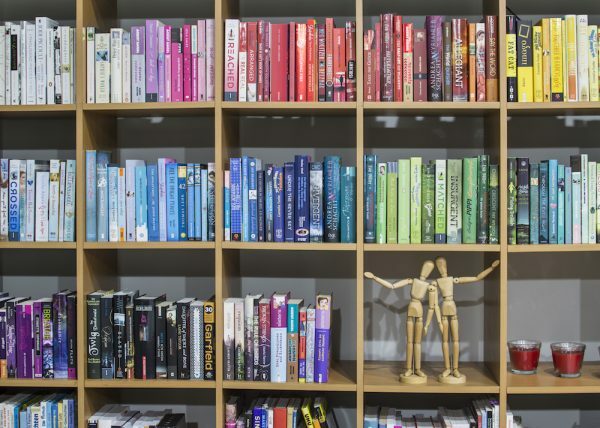 Which rainbow bookshelf gave you the most design inspiration?